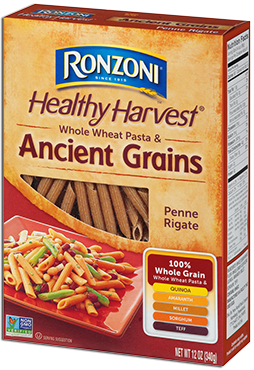 Ronzoni® Healthy Harvest® Ancient Grains is made from a blend of whole wheat and the time-honored grains quinoa, amaranth, millet, sorghum and teff. 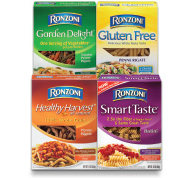 Ronzoni® Healthy Harvest® Ancient Grains is also 100% Whole Grain and an excellent source of Fiber. Ancient Grains Penne Rigate is diagonally cut tubular shapes with ridged surfaces. 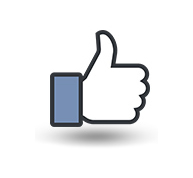 WHOLE DURUM WHEAT FLOUR, WHOLE GRAIN FLOUR BLEND (QUINOA, AMARANTH, MILLET, SORGHUM, TEFF).